In 1990 Michael moved to France where he enrolled in the Lycée Viticole de Beaune in Burgundy to study oenology and viticulture. Here he was privileged to study under the guidance of Burgundy's noted professors and winemakers, working two vintages at the esteemed Maison Chartron et Trebuchet in Puligny Montrachet. In 1995 Michael moved to Virginia to work at Jefferson Vineyards as head winemaker and general manager, where he quickly accumulated numerous awards and acquired a reputation as one of Virginia’s up-and-coming winemakers. After six vintages Michael ventured out on his own and began producing wine under the now highly regarded “Michael Shaps” label. He initially partnered with King Family Vineyards, where he helped launch their brand as well as his own. In 2004 he partnered with his old mentor and head winemaker at Maison Chartron et Trebuchet and together they opened a winery and rental house in Meursault, France, one of Burgundy’s most renowned winemaking villages. Maison Shaps—now named solely after Michael as his partner sold out in 2012—is a garage-ist style winery, focusing on small vineyard lots from some of Burgundy’s most famous vineyard sites. These artisanal-style wines are imported to the United States and sold along the East Coast as well as in the two Tasting Rooms at Wineworks. After seven vintages at King Family, Michael found a new home for his brand when he and a partner opened Virginia Wineworks in 2007. This multi-faceted operation is both the home of the Michael Shaps brand and Virginia’s first and largest contract winemaking operation, more commonly known as custom crush. In 2014 Michael bought out his partner and with investors expanded Wineworks into an operation that approaches 30,000 cases of annual wine production, including over a dozen contract winemaking clients. The winery is now marketed as Michael Shaps Wineworks and is growing exponentially. In 2014 a million dollar expansion project was completed to include a new office building, tasting room, and crush pad, with a 16,000 square foot warehouse to store wine and serve as the new bottling facility. Known in the industry for his innovation and winemaking expertise, he introduced the “bag in a box” wines to Virginia wine consumers and most recently introduced wine in kegs and a refillable wine growler. He has won numerous awards, spoken at wine conferences in California and throughout the East Coast, and consulted at dozens of reputable wineries in the mid-Atlantic region. 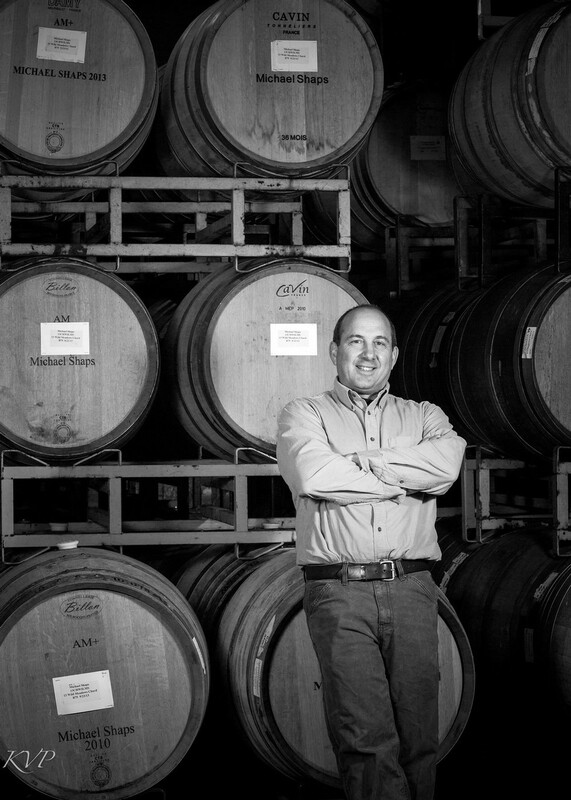 Both an innovator and entrepreneur by nature, Michael continues to be a leader in the Virginia wine scene.